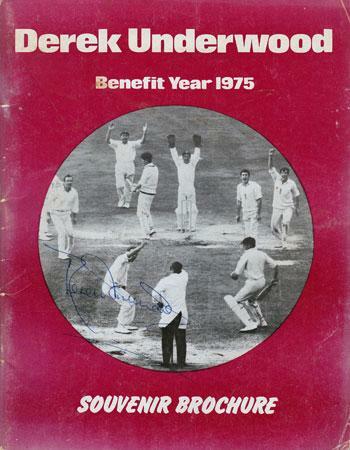 Signed by England, Australia, Kent and Warks CCC players. 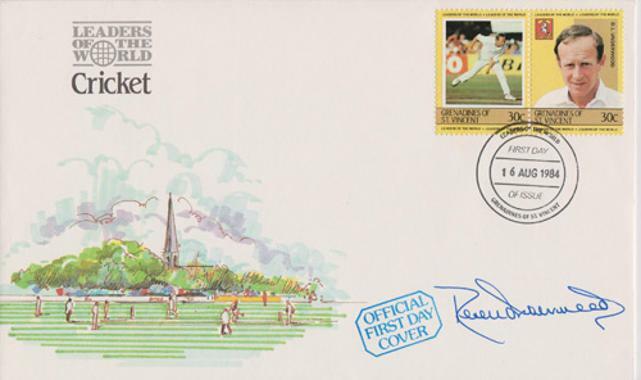 Duncan Fearnley full size bat signed (on front) by members of the England & Australia Ashes series squads plus (on reverse) signed by Kent and Warwickshire players. 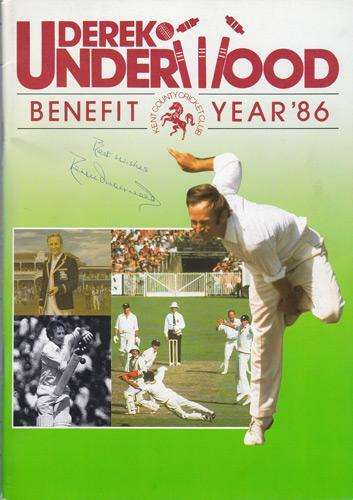 Australia players include: Allan Border, Jeff Thomson, Geoff Lawson, Craig McDermott, David Boon, Greg Ritchie, Graeme Wood, Dirk Wellham + 6 others. 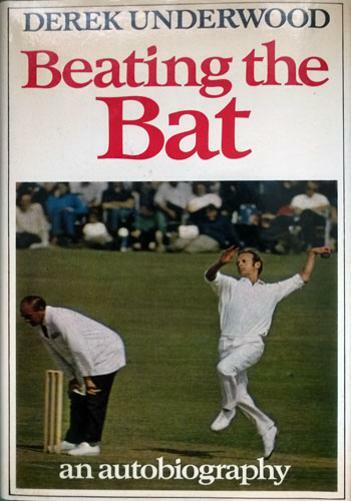 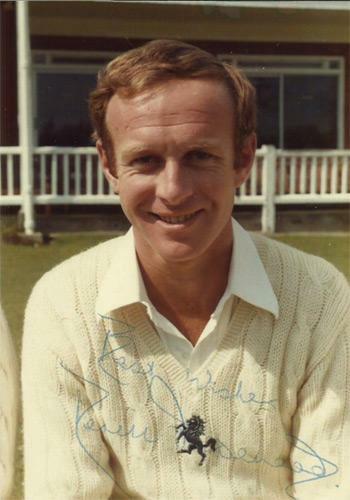 England players include: David Gower, Mike Gatting, Ian Botham, Graham Gooch, John Emburey, Allan Lamb, Paul Downton, Richard Ellison + 3 others. 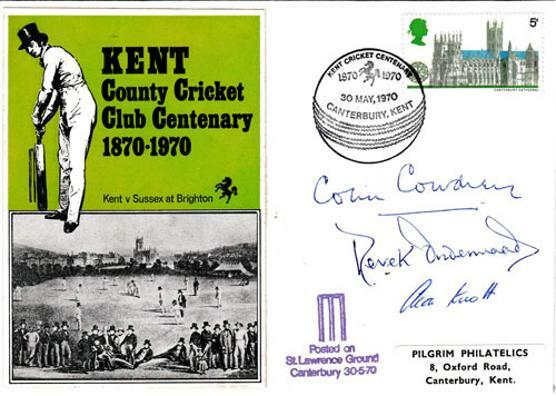 Kent players include: Underwood, Chris Cowdrey, Mark Benson, Graham Dilley, Alan Knott, Simon Hinks, Steve Marsh, Neil Taylor, Chris Tavare, Eldine Baptiste, Richard Ellison + 2 others. 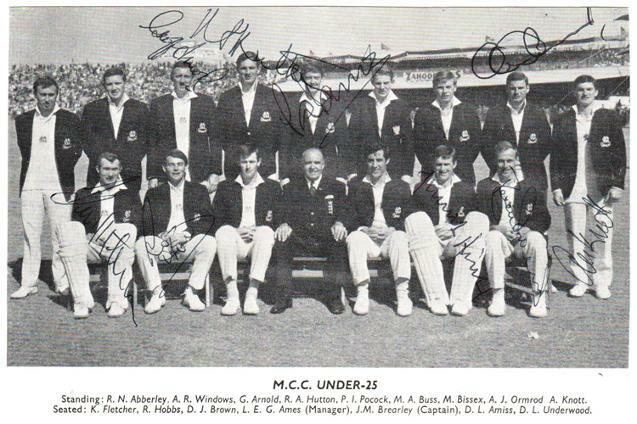 Warks players include: Alvin Kallicharan, Dennis Amiss, Geoff Humpage, Andy Lloyd, Asif Din, Gladstone Small + 6 others. 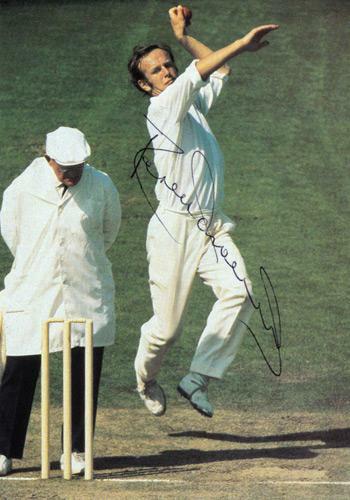 Autograph mounted with B&W England Test match pic. 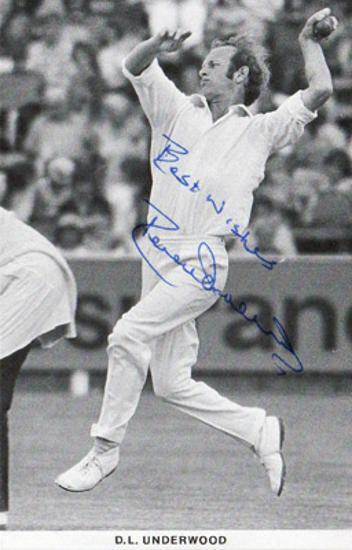 Signed B&W J/V Series Cricket Postcard. 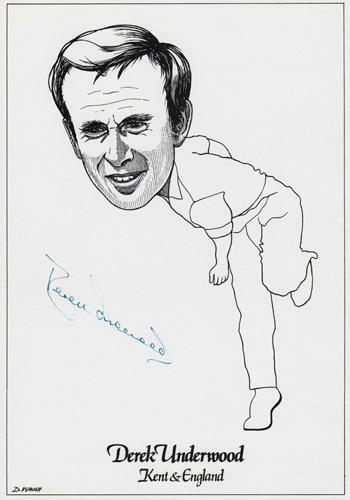 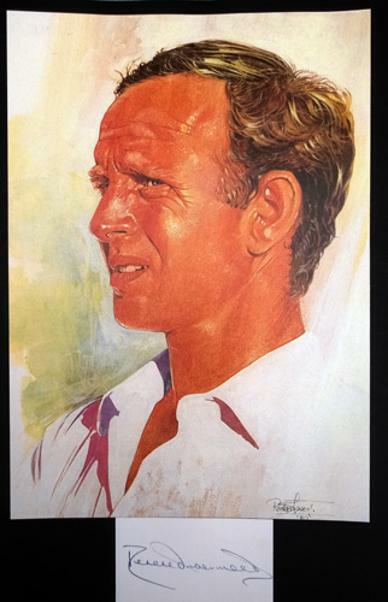 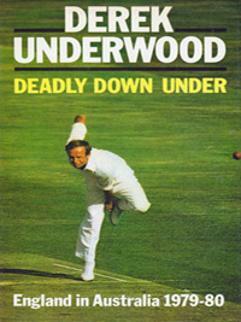 Signed Ashes tour Diary "Deadly Down Under - England in Australia 1979-80"
Signed small newspaper portrait picture. 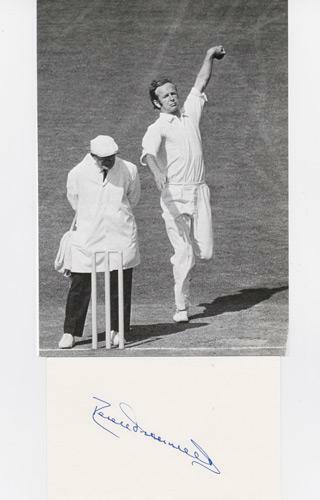 Approx size: 6 x 7 cms. 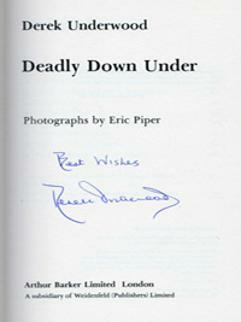 2 x Deadly Derek stamps. 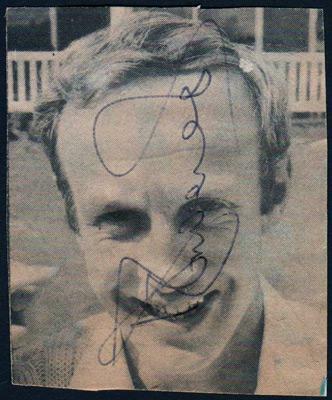 Approx 8.5 x 12 cms. 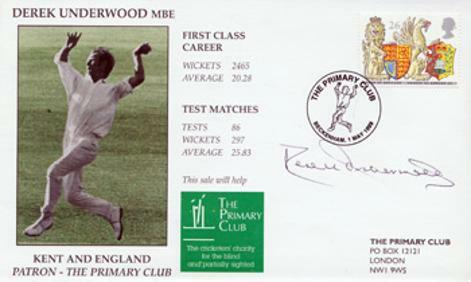 Signed "Primary Club" First Day Cover dated 1999 & featuring pic of Derek in action bowling and his career stats.